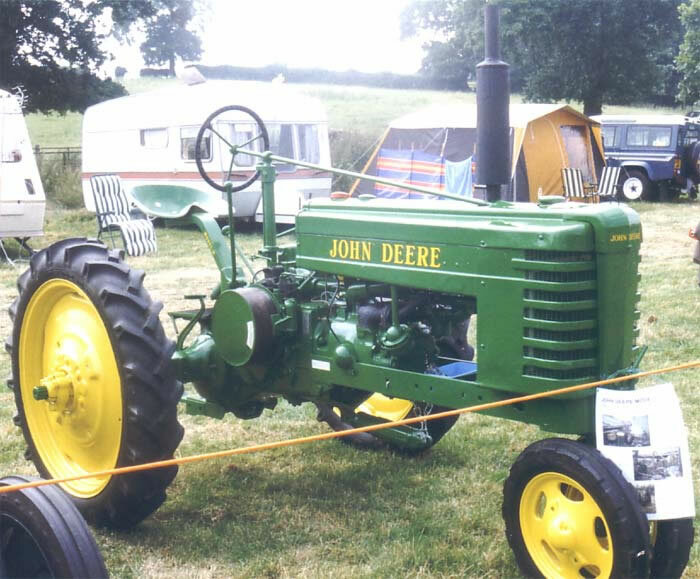 The John Deere Model H Tractor looks very similar to the Model B but it is a smaller tractor, unless seen alongside a Model B it is very easy to misidentify it. The Model H was usually used a a row-crop tractor and it was introduced in 1939, with a few minor modifications it remained in production until 1947. Maximum engine power output was 12.5 h.p. at the draw-bar and 14.8 h.p. at the pulley. Transmission was via a three forward and one reverse speed gearbox. Approximately 60,000 units of the Model H were built.